In the Innovation Center just down the road from the corporate headquarters of Smithfield Foods is a room dubbed "Grandma’s Kitchen." It’s furnished with gingham curtains and photos of children (who happen to be company personnel in their youth). Most importantly, it also has a microwave and stove for cooking samples of retail products under development. Will Brunt, the company’s chief innovation officer, says they deliberately bought low-end appliances to make sure that any consumer can cook Smithfield products properly. That kind of authenticity is a theme throughout the Innovation Center, a 37,000-sq.-ft. building just off the Smithfield corporate campus, built in 2011. It houses a team of 12 devoted to innovation plus four more to commercialization. Among its numbers are three chefs and a nutritionist, all of whom are also food scientists. “As Smithfield Foods continues its evolution to a world class consumer packaged goods and protein company, we’re on a path to make innovation part of our DNA," says Brunt. "It’s about much more than just new product development, although that’s certainly an important piece; it’s thinking differently about every element of our business." In addition to Grandma’s Kitchen, the Innovation Center houses a demonstration kitchen, a USDA-inspected pilot plant, foodservice kitchen, meeting rooms and lab space. Brunt estimates that about one-third of the projects the team works on are for foodservice products, mostly bacon; another 10-15 percent are deli products, and the remainder are for retail. Kitchens for foodservice products are stocked with every sort of fryer, grill and oven found in restaurant kitchens. The pilot plant has small-scale smokehouses, tumblers and other versions of the equipment in Smithfield plants. Product packaging is becoming an increasingly important component, and at Smithfield it is spearheaded by the marketing team in collaboration with innovation, operations and other departments. The innovation team has dedicated packaging engineers who develop packaging for new products, as well as improved packaging for existing products. This is the part of the process where Brunt and his team can push things along; things will slow down later. Getting equipment, which almost always has to be custom-made, takes at least six months, plus another two to get it installed and running. USDA approval takes another few months. The average project takes about a year, with a current project in its second year. Most of the time, the innovation team tries to get early buy-in from departments -- marketing, business development and operations -- that will ultimately share in responsibility for bringing a new product to market. But there are exceptions: what Brunt calls “skunk works” projects, ideas that are “pretty radical.” Such projects need some protection in their conceptual stages. Sometimes, he says, a project that might have been shot down in its early stages elicits a "holy cow, we have to do that!” when it emerges from the skunk works. If there is an anomaly to Smithfield, it would be its relatively low penetration of grocers' deli cases. "We have only about 2 percent of this $5 billion category," Brunt admits, low for a company entirely devoted to meat. So Brunt and his team found an alternate approach. One of Smithfield's newest product innovations is Prime Fresh Delicatessen pre-packaged deli meat. Available in two flavors each of ham and turkey, plus a just-introduced salami, Prime Fresh is available in every Kroger store in the U.S. — and is generating considerable repeat business. Shoppers implicitly put up with two inconveniences at the deli counter, Brunt says: waiting in line and paying higher prices "because they know they’re getting something better, fresher, than they would in the packaged case." So Smithfield came up with a package that replicates what the deli worker hands customers over the counter: a zippered baggie with a white sticker on the back. It's merchandised in a refrigerated case just off the deli counter, and inside is a premium product. “If you buy Smithfield turkey or ham in Prime Fresh, it’s the best lunchmeat in that store, bar none,” Brunt claims. The product and package also best the recent wave of precut lunch meats in plastic tubs. Brunt says the tub traps air inside, which not only harms the product but adds to shipping costs. Because of its rigidity and bulk, the tub limits truckloads to about 25,000 pounds; the flat, flexible Prime Fresh package allows 40,000. Prime Fresh also uses less secondary packaging, for an all-around improvement in sustainability. Another recent product is Carando meatballs. While other manufacturers fill a stand-up pouch with frozen, generic meatballs, Carando meatballs are retailed fresh, in varieties such as Abruzzese, Sicilian and mozzarella rustica, and in packaging that exemplifies their premium positioning. Carando meatballs are made with pre-rigor mortis pork. "We hand-trim, coarse-grind, season, blend and chill pork primal raw materials very rapidly, within 45 minutes of harvest, in order to provide a meat block with a high pH level," explains Brunt. "Pork blends handled in this way retain a rich, red, lean color that merchandises freshness appeal beautifully to consumers and retains moisture naturally for great performance on the grill or in the pan." Another product worthy of showcasing is Pure Farmland All Natural Bacon. 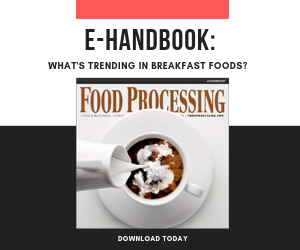 "65 percent of shoppers look for foods and beverages that are minimally processed and contain only ingredients that they recognize," says Brunt. "So Pure Farmland is made with no preservatives or MSG, no artificial flavors, colors or ingredients, and no nitrites/nitrates (except for those naturally occurring in celery juice powder and sea salt)."